When April Snyder and DeWayne Johnson met, they learned they had something in common—they both had daughters. Amber Lynn Snyder is 15; Aaliyah Tatiana Williams is 9. So when April became pregnant last summer, they crossed their fingers for a boy. With a due date of April 8, they chose the name Aries. But, as is often the case, this baby had its own plans. When April woke up early the morning of February 24, she discovered that she was bleeding. Coincidentally she had a doctor’s appointment later that day. She called her doctor to report what was happening, and she was urged to come in. 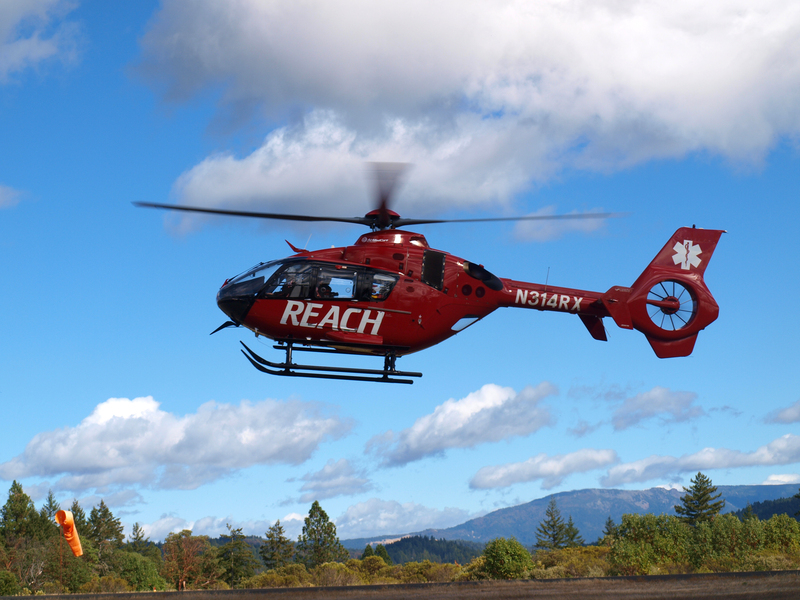 A few tests later, doctors at St. Helena Hospital in Clearlake were concerned enough to inform April that they were going to have her transported by an air ambulance to Santa Rosa Memorial Hospital. April doesn’t know for sure what caused the bleeding to start, but she wonders if it was the Zofran she was taking. Zofran helps prevent nausea and vomiting and more recently, has been prescribed to pregnant women who experience morning sickness. The drug is still being studied, but many women have found it to be a lifesaver. REACH 18 comes in for landing. 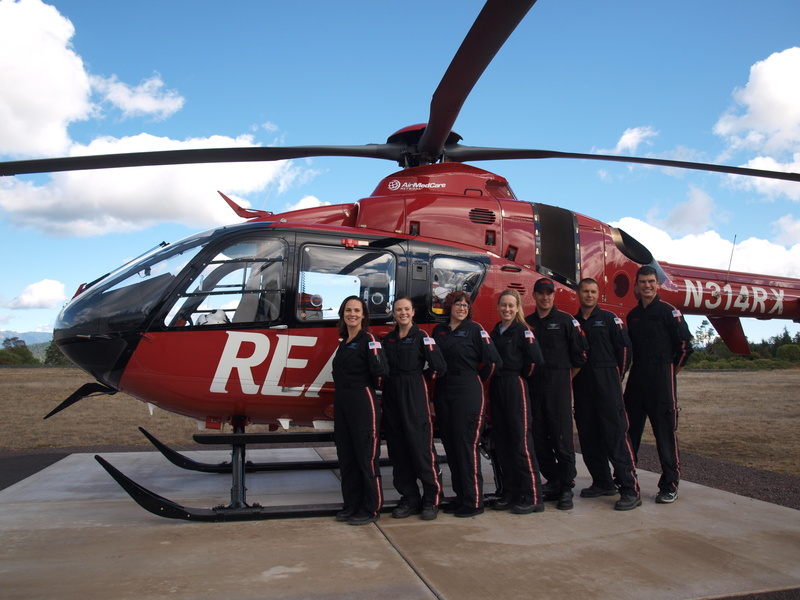 L to R: Flight Nurse Jene Lowater, Flight Nurse Katherine Taylor, Flight Nurse Stephanie Weber, Flight Nurse Melody Winslow, Pilot Rick Hipes, Flight Paramedic Nat Norling, Flight Paramedic Charles Robbins. Everyone at REACH offers their congratulations to April and DeWayne, and a future overflowing with goodness to the entire family.